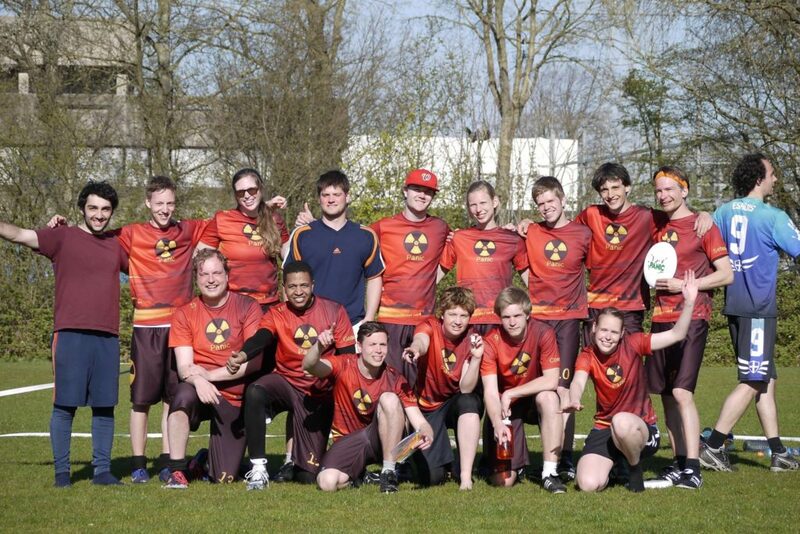 Panic is the Ultimate Frisbee student association of Leiden. With two teams and an active community, we are striving towards improving personal skills and growing as a team. We also have a lot of fun along the way during parties and other social events. If you want to try out Ultimate or already think about joining, just come along to one of our trainings. It does not matter if you have never thrown a disc yet or if you are already experienced. Check out the Training page for more info. For updates on the association and our teams, follow us on Facebook. There is also a monthly e-mail with all information regarding practices, competition, tournaments and activities. If you want join one of our practices, you are free to join us at any practice to see how it is. If you want to know more about Panic please don't hesitate to contact us. Or if you want to play a game with friends, roommates, dispute or colleagues, contact us for a Panic clinic! During this clinic you learn the basics of Ultimate and afterwards you will play some games.